International Women's Day 2015- Stepping it up on the streets of New York City | Flickr - Photo Sharing! 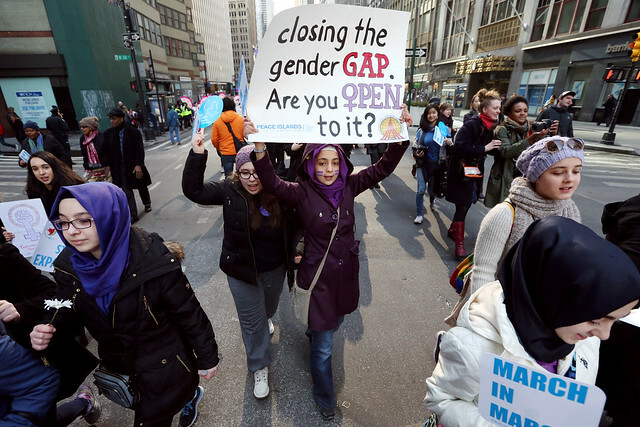 New York– Waving signs and holding banners bearing the slogan “Planet 50-50 by 2030: Step It Up for Gender Equality and Women’s Rights”, thousands snaked through midtown Manhattan on 8 March 2015 in a collective show of solidarity for the global women’s movement. Thousands sang, chanted and rallied for gender equality during a march to mark International Women’s Day.